As of September 21, 2018, the Georgia Association of EMS officially became the Georgia EMS Association (GEMSA). The Board of Directors felt the new name represented the mission of the association better, and they wanted to help eliminate confusion about the association and the state office of EMS. GEMSA has also worked hard in 2018 to increase your membership benefits and make this organization a valuable asset to you. Learn more about our membership benefits here. The Georgia EMS Association is a nonprofit organization dedicated to helping EMTs and Paramedics who work in the State of Georgia. While others are welcome to join, our primary goal is to make life a little better for those who have chosen emergency care in the streets as their profession. Fulfilling the association mission: to advocate for the emergency medical provider, develop educational programs, liaison activities, provider benefit programs, and improvements to the Emergency Medical Service System in Georgia, and much more! 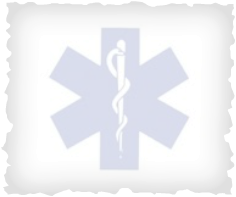 The mission of the Georgia EMS Association is to advocate for the emergency medical provider, develop educational programs, liaison activities, provider benefit programs, and improvements to the Emergency Medical Service System in Georgia.